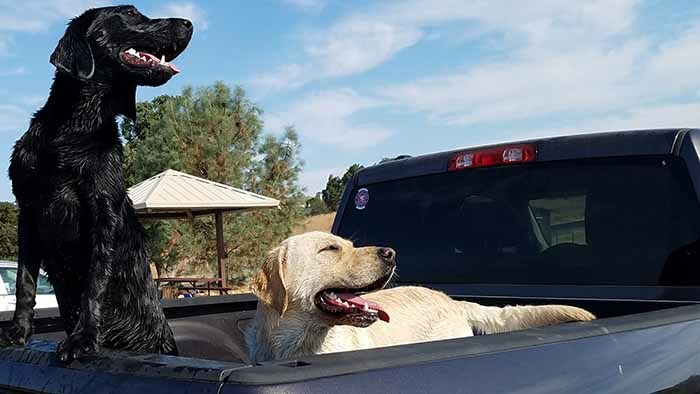 Foothill Retrievers is a family run business. All of our dogs are our family, and as members of our family they join us in the home, on trips to the lake, and even go to work with us. After receiving countless requests for puppies from our stud Gumbo, we decided to build this website to showcase our dogs and notify of upcoming litters. 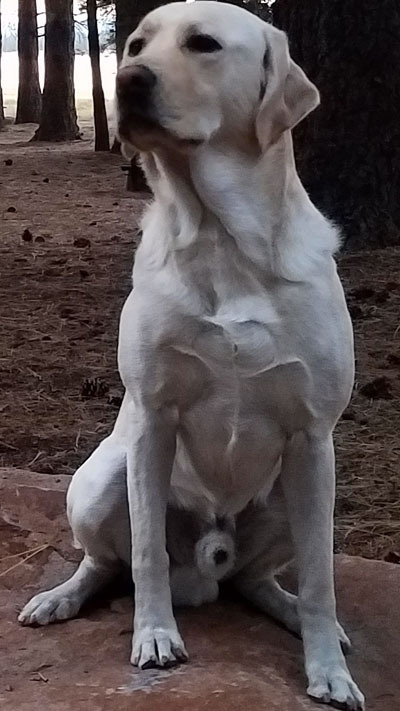 "Queen Nala Of The Hunt"
Hurley is our newest addition and the future of Foothill Retrievers. She's so special that we drove over 5,000 miles to adopt her. She consistenly surprisises us both during training and in the field. Bella hales from labrador royalty as a direct descendant of Barracuda Blue. Like Gumbo, she has a proven pedigree littered with field trial champions. She's quick, energetic, and has a very good temperament. We are excited to announce a litter of five large strong pups from Bella and Gumbo, born on 11/27/18. At this time they are all spoken for. To reserve a puppy from our next litter, please email us. 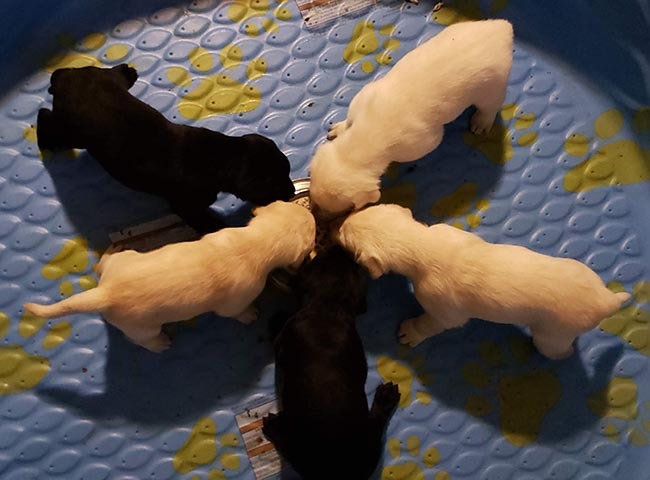 All puppies will be registerable with the AKC, have up to date shots, dewclaws removed, deworming, and microchips. NAFC FC AFC Trumarc's Raider Retriever Hall of Fame-1995; 1972 Derby List, qualified for two National Opens 3 National Amateurs,was a finalist in 1975. Had 29 Open Points and 24 amateur Points. Sire of 13 Field Trial titled offspring. Sire of thirteen titled dogs. Among these titled offspring were the 1976 high point derby, FC AFC Carr Lab-Raiders Gain, FC AFC Carr-Lab's Washington's Weeko, FC AFC Crook's Pork And Beans, FC AFC Raider's Piper Cub, and the 1976 NFC AFC San Joaquin Honcho. FC AFC San Joaquin Honcho 2000 Retriever Hall of Fame. NFC at 3 years old; 2 Doubleheaders; Great sire of more than 70 FC Titled Offspring. Super Powder 1995 Retriever Hall of Fame. Retriever Hall of Fame-1995 Top notch Stud Dog, never got his FC but produced 36 FC's, 2 NFC's and a NAFC. History has shown his offspring were a good cross with honcho lines. AFC Hawkeye's Viking High Point Derby Dog in 2002. 92 points, 14 wins. Highest amount of Derby Points than any Yellow ever. In 03' Viking had 17 Amateur Pts, earned his AFC Oct 5th in quick order with 2 Amateur 2nds in spring and Back-to-Back wins qualifying him for the 2004 National Amateur. Viking has produced Banner who was High Point Derby Dog in 2005 and also a High Point Open Dog. 2xNAFC 2xCNAFC FC CFC Ebonstar Lean Mac 2003 Retriever Hall of Fame. 122 1/2 Derby Pts Comb highest ever 2002 Sire 1 NFC, 50+ FC, Top Open Dog, Top Amateur Dog,140 FC highest ever. FC AFC Trumarc's Raider Retriever Hall of Fame-1995; 1972 Derby List, qualified for two National Opens 3 National Amateurs,was a finalist in 1975. Had 29 Open Points and 24 amateur Points. Sire of 13 Field Trial titled offspring. Sire of thirteen titled dogs. Among these titled offspring were the 1976 high point derby, FC AFC Carr Lab-Raiders Gain, FC AFC Carr-Lab's Washington's Weeko, FC AFC Crook's Pork And Beans, FC AFC Raider's Piper Cub, and the 1976 NFC AFC San Joaquin Honcho. FC AFC Snake Eyes-Double or Nothin' (1995 Retriever Hall of Fame) 1995 Retriever Hall of Fame. Qualified for 5 National Opens and 8 National Amateurs. Was a National Finalist in 80 and 84. Earned a total of 50.5 Open Points and 61 Amateur Points. Produced 23 Titled and over 40 QAA dogs in the US And Canada Including the highest pointed derby dog in AKC. NAFC FC AFC Dude's Double or Nothin' (1992 Hall of Fame) 1992 Retriever Hall of Fame. Dude's Double Or Nothin' was the 1974 High-Point Derby Dog in the United States. 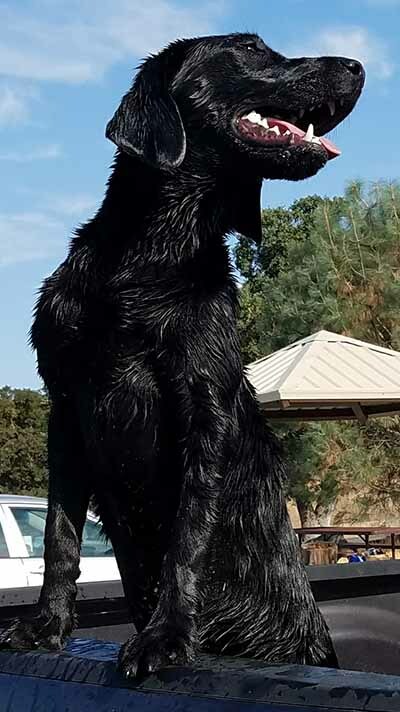 He became one of only a handful of retrievers to earn the title of High-Point Derby Dog and win a National Championship stake. In order to participate in local club trials with family friends Delma Hazzard researched and bought a puppy sired by two-time National Amateur Champion NAFC-FC Dee's Dandy Dude. 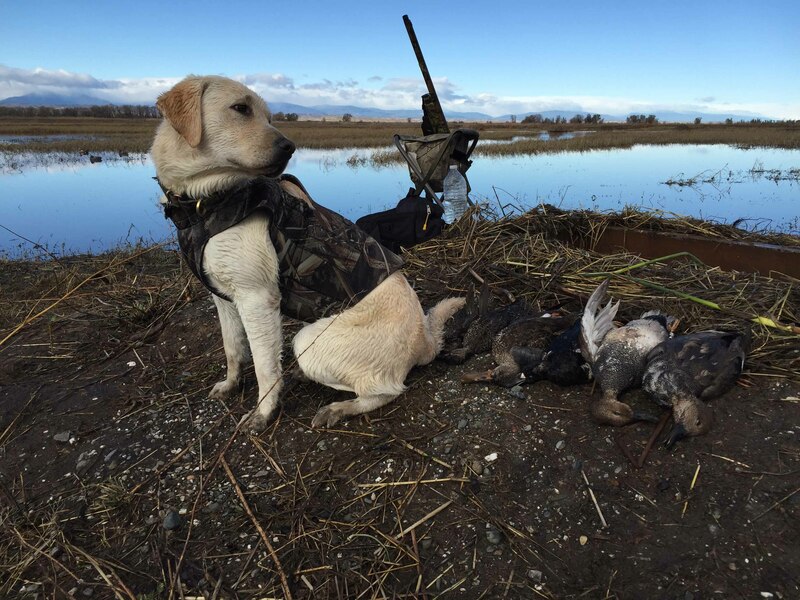 This inquisitive and precocious puppy showed everyone early on his specialty -- marking shot game birds! Delma began training with professional trainer Hugh Arthur who polished them up and sent them onto the field trial circuit running derbies. Doc placed third in his first derby at the young age of ten months. During his derby career Doc won nine derbies and was the 1974 High-Point Derby Dog with 73 points. Competing in the advanced stakes was another story. Doc was like a "bull with a firecracker tied to his tail" when running cold blinds. Delma took off to California to get help with this wild youngster. Under the tutelage of professional trainer Rex Carr and his assistant Bill Sargenti, Doc and Delma became a formidable team. Doc went on to become the High-Point Open Dog in 1978, earning thirty Open All-Age points for the second year in a row. He also became a Double Header winner, winning the Open and the Amateur stakes at the same trial. 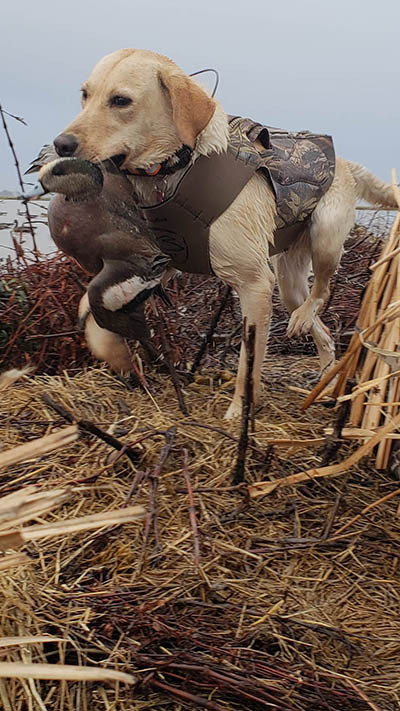 Adding to what was already a great field trial record, Doc won the 1981 National Amateur Retriever Championship held at Bong Recreational Area in Burlington, Wisconsin. His father, Dees Dandy Dude, and his grandfather, Guy's Bitteroot Lucky, also won National Amateur Championships at Bong. 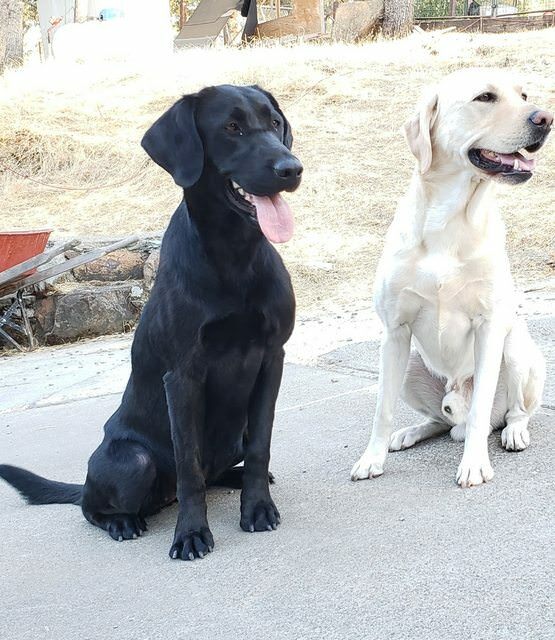 Doc sired two National Open Retriever Champions: 1981 NFC AFC Orion's Sky and 1985 NFC AFC Dynamite Duke IV. He also sired FC AFC Snake Eyes-Double Or Nothin'. Snake was the sire of three High-Point Derby Dogs: Mad River's Oliver Hardy, Painter's Daily Double, and Aces High III. NAFC-FC Dude's Double Or Nothin earned 201.5 All-Age Points (105.5 Open, 96 Amateur) during his distinquished field trial career. He was a National finalist several times, including his last National Open in 1981. FC AFC Yellowstone's TNT Explosion 2003 National Amateur Retriever Championship Stake and Two-time National Amateur Retriever Championship finalist, Double Header Winner PRTA August 2000, 12 Wins, 6 Open, 6 Amateur All with Amateur Handler, 35 All Age Placements, 50 All Age JAMs, 109.5 All Age Points and 106 with Amateur Handler, Completed 9 series at 2000 National Open Championship, Completed 9 series at 2001 National Amateur Retriever Championship, Qualified for 1998, 1999, 2000, 2001, 2002 and 2003 National Amateur, Qualified for 2000 and 2002 National Open, Qualified for 8 Nationals, 2003 Southern Arizona amateur and open trial winner, Open Win and 3 Placements at 3 years old, Numerous Amateur Placements at 3 years old, 50% finishes lifetime in All Age Stakes, Qualifying Win at 23 months old with 2 qualifying 3rds, Qualified out with Open JAM at 2-1/2 years old, 15 Derby Points, 5 JAMs in 20 trials, and 70% Derby finishes.